Given today’s global economic scenario, satisfying ones basic needs and wants is becoming difficult for many individuals. Thus, people are depending increasingly on loans. With banks putting forth extensive and unreasonable loan eligibility criteria, it seems even more challenging for the common person to get some extra money. However, there are alternative options to conventional banks and credit unions that are available in the lending market. One such funding source is installment loan that provides temporary financial aid during tough times. 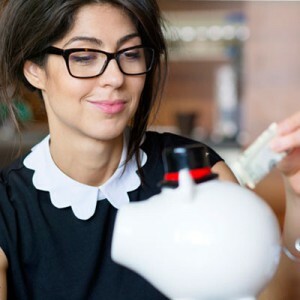 If you are denied by banks and unqualified for payday loans, then installment loans serve as the best option to meet your immediate money needs. Unforeseen Bills– Sometimes, life throws uninvited expenses like medical bills or car repairs. Such untimely emergencies demand substantial finances. Besides, the situation worsens if you have not saved anything for a rainy day. Instant approval feature of the installment loans makes it convenient for you to apply today and get the funds on the same day. Thus, you are saved from stressing over bills. Home Improvements– Depending on the season, your home may require renovation and you cannot afford to postpone certain refurbishments. After all, a stitch in time saves nine. Whether you need the cash for installing new window, remodeling your bathroom or replacing a roof, installment loans have it covered. The online loan processing makes for the quickest funding you need for the urgent home repairs. Major Buys– If you want to purchase certain items that require huge money such as furniture piece, electronic gadgets, home appliances, or other big items then fixed monthly repayment facility with installment loans gives you the flexibility to pay off the major purchases easily. Vacations– Given the busy schedules, individual finds it tough to get away from the mundane life and enjoy some leisure time with the family. Even if one makes some time for family, financial obligations do not allow for vacations. In such a case, an installment loan can be handy as it can be repaid in installments. Debt Consolidation– If you are struggling with multiple debts or dealing with high-interest loan payments each month, then you can use installment loan to merge all debts or loans into a single payment. Thus, you can get the simplicity of debt consolidation, save interest and get out of all debts quickly and easily. Funding Education and auto refinancing– Education is important but sometimes, paying for tuitions or college education seems unaffordable especially for students who do not have sponsors. By availing installment loans, students of legal age can fund their education and spread out the fee repayment in easy equal installments. In addition, installment loan could be a perfect and affordable auto refinance option, if you have a high interest auto loan that you are finding difficult to pay.